This year marks the 150th anniversary of Morgan Academy. Join us to celebrate this significant milestone in the history of the school, when well known former pupils from the world of music and theatre will return to showcase their talents in a grand concert in their home city. The life and work of other renowned FP’s from entertainment, sport and academia will also be featured. The evening will be compered by former pupil Craig Millar of STV. 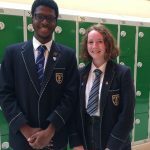 Present pupils will also take to the stage to demonstrate their talents in music and sport. A grand finale featuring a massed choir and orchestra of present and former pupils will bring the evening to a resounding climax! This promises to be an entertaining evening for all members of the public and especially for present and former pupils and friends of the school. 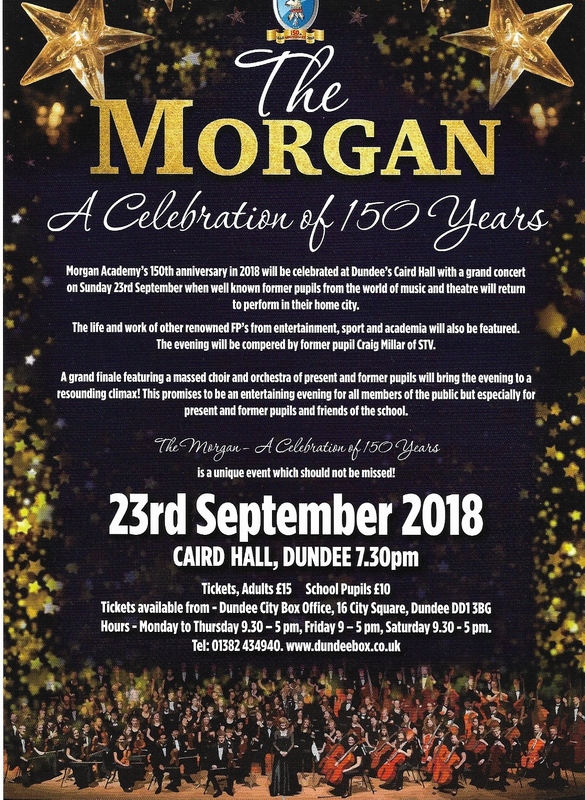 “The Morgan – A Celebration of 150 Years” is a unique event which should not be missed! Aged 82 former owner of Barnetts Motor Group with 11 dealerships in Dundee passed away in February 2018. Former Technical teacher aged 91 passed suddenly but peacefully on 14 March 2018. He was a talented goalkeeper, playing for a number of Junior clubs and had trials for Dundee United and Hearts. He was involved in the Dundee Schools football. Aged 90 former Royal Marine Commando and architect with Hugh Martin & Partners of Dundee & Edinburgh. Aged 88 passed away peacefully at home in Connecticut USA on 10 January 2018. He studied chemistry at St. Andrews and worked at the Atomic Weapons Research Establishment at Aldermaston before moving to Canada then USA where he worked in the development of fuel cells for the Space Program. Aged 68 former Principal Teacher of Music at Whitfield H.S. (now Braeview Academy) passed away in February 2018. He was heavily involved in all aspects of music in Dundee, in addition to organising school concerts he had a principal part in Tayside Opera’s Cavalleria Rusticana and was musical director of Gilbert & Sullivan productions in aid of Unicorn Preservation Society. He conducted the Dundee Instrumental Band, was founder member of Sweeny Toddlers barbershop group and was involved in Sounds Spectacular in the Whitehall Theatre.